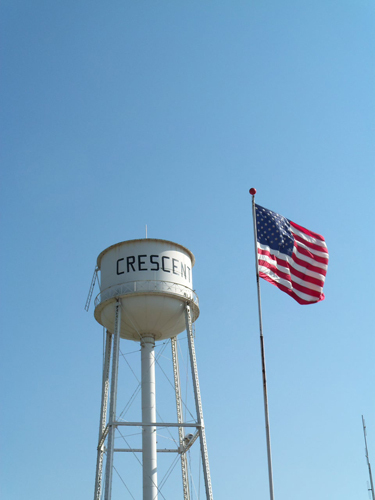 Located one block from main street in Crescent, a rural community of 3,200 people surrounded by farmland. 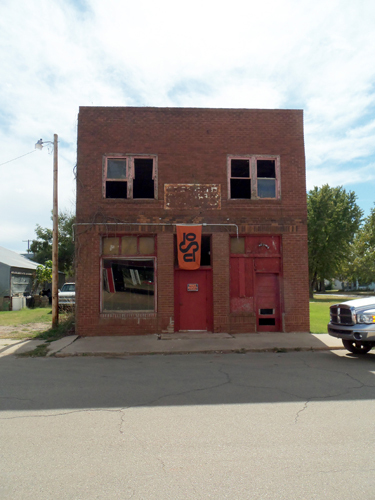 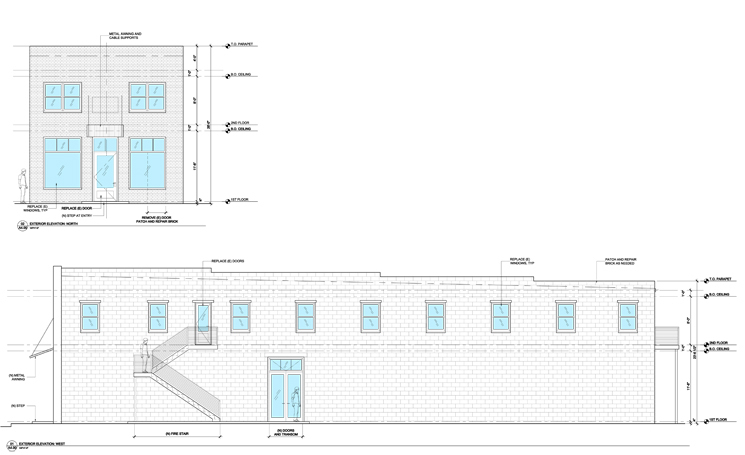 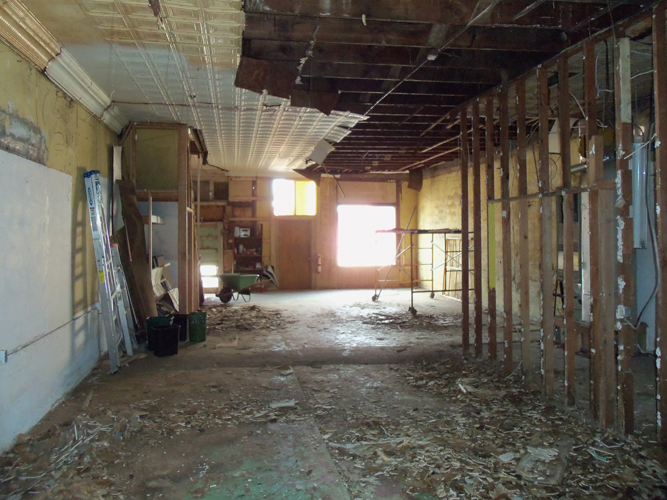 The clients desired to re-use an existing building within the town limits rather than build from the ground up. 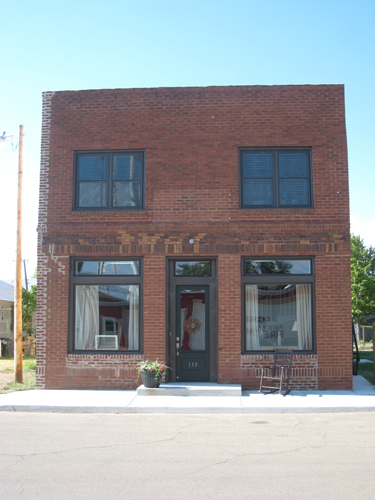 The dilapidated two story brick and masonry building previously served as offices and small apartments. 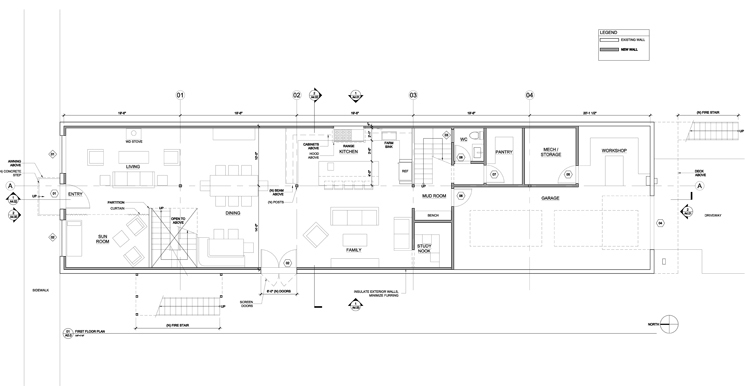 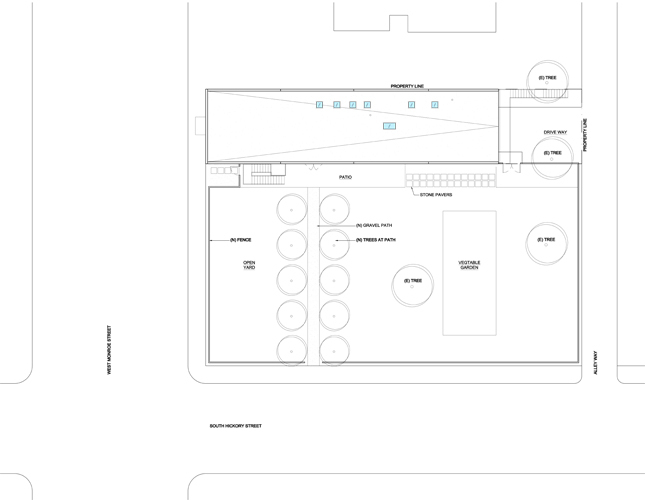 The design sought to create an open, loft layout of the ground floor living, dining, kitchen and den areas. 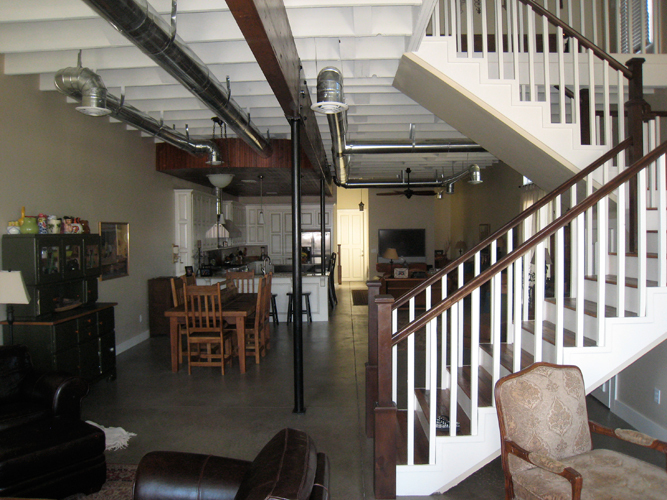 Four bedrooms and home office occupy the second floor. 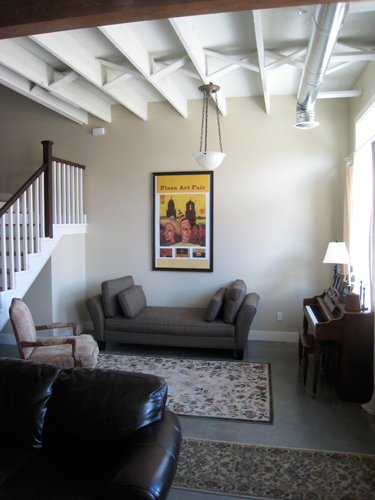 The budget was minimal at $60 a square foot. 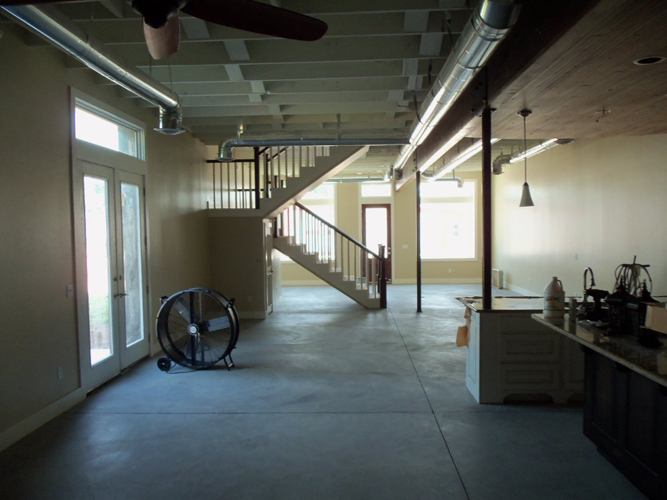 Flooring consisting of bare concrete on the ground floor and reclaimed wood on the second floor. 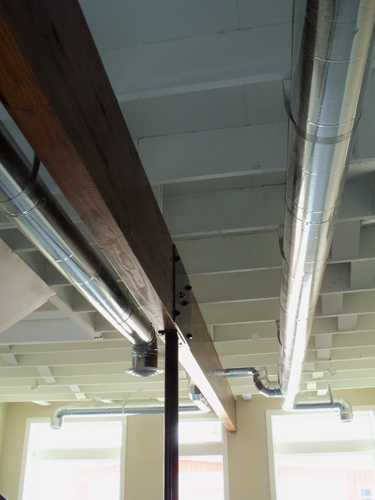 Exposed duct work and ceiling framing add to the character of the space.